If you’re a seasoned visitor to any of the Disney Parks, you know that holiday dining is worth the price of admission alone. 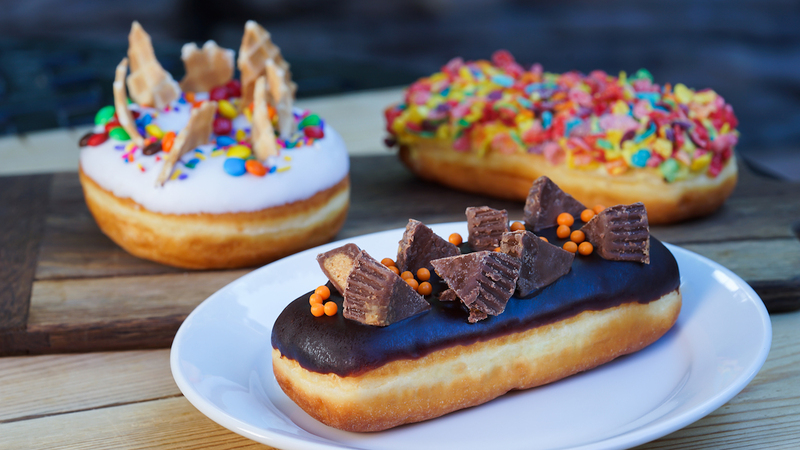 From September to January, an array of scrumptious-looking treats fill the cases of the Candy Palace and the kitchens of most table-service restaurants, ranging from EPCOT’s chocolate peppermint cronuts to the infamous fresh-baked candy canes on Main Street, U.S.A. 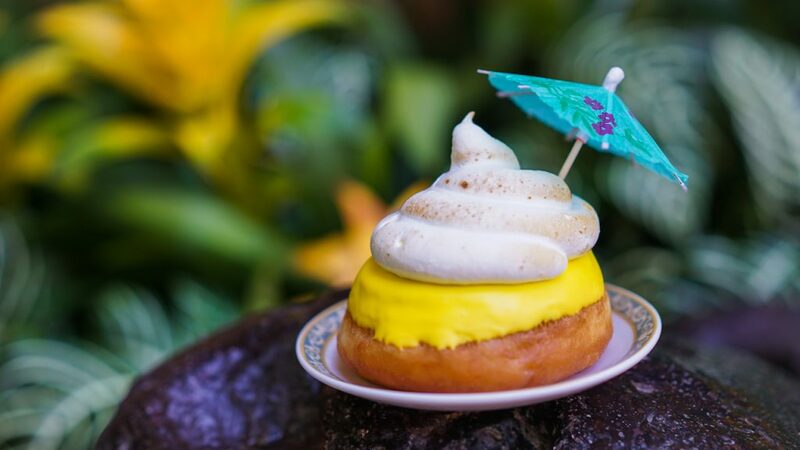 Unless you have an iron stomach, however, it simply isn’t possible to sample every single dish during a week at the parks—let alone a single day—and, if we’re being honest, it’s not worth shelling out top-dollar for every highly-Instagrammable Jack Skellington cake pop and neon sugar-dusted churro. Before you break the bank at the annual Festival of Holidays booths (to say nothing of the never-ending holiday menu offered elsewhere in the parks), let’s break down some of this year’s can’t-miss treats… as well as a few you can avoid without experiencing any FOMO. Disney has gotten a little carried away with flavored beignets over the last couple of years, with variations ranging from the Pirates of the Caribbean “gold-dusted” beignets that tasted more like Froot Loops than lemon sugar to butterscotch, strawberry, and watermelon chili lime flavors. 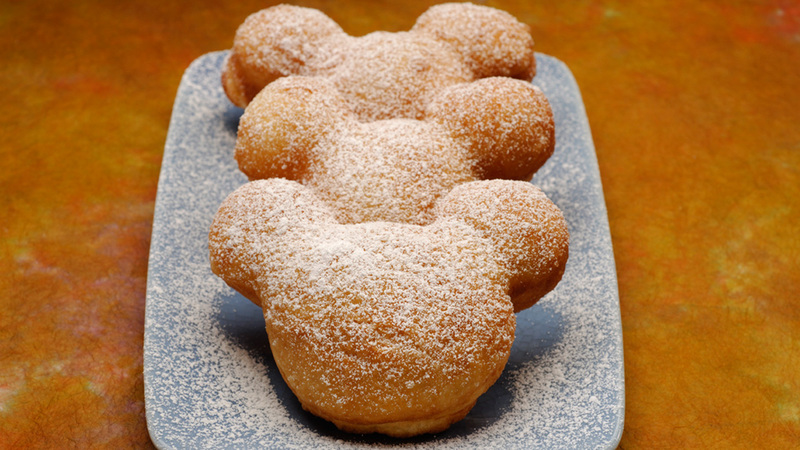 Still, you can’t really go wrong with piping-hot, powdered sugar doughnuts, no matter how they’re dressed up, and nothing rings in the holiday season quite like that first whiff of pumpkin beignets over at New Orleans Square’s Mint Julep Bar. This is one of those rare treats that Disney does well during their Halloween celebration and the winter holidays, too, as they usually roll out gingerbread and peppermint flavors closer to Christmas and Hanukkah. If you’re in the mood for doughnuts that don’t also come with a pound of icing and sugary toppings, this is the way to go. 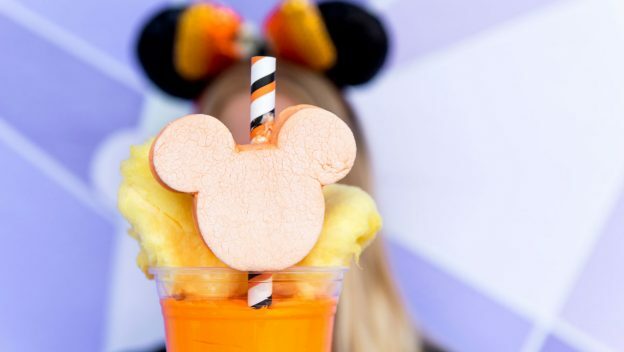 Despite getting bonus points for superb theming and viral social media posts, these cocktails tend to skew towards the overpriced, overly-sweet, and oversaturated. 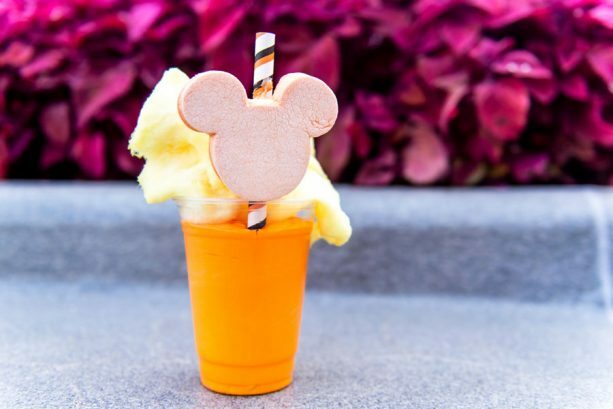 And, if you opt for the nonalcoholic alternatives, you’re bound to be hit with even more sugar: just take a look at the cotton candy and marshmallow-topped Candy Corn Milkshake for sale at Auntie Gravity’s Galactic Goodies. If you have an incurable sweet tooth, you may find these are worth the double-digit price tag! If not, you’ll find a far better bargain with some of the tamer holiday drinks around the parks, perhaps with an Anaheim Brewery Oktoberfest Beer at Award Wieners, ACE Hard Pumpkin Cider at Hyperion Cart, or some traditional Apple Cider from the Golden Oak Outpost at Mickey’s Not-So-Scary Halloween Party.